Try each one of MG Spirits vodka cocktails with this mixed case of six bottles. There are four sparkling flavours: Pineapple, Grapefruit, Lime and Blueberry. Each one is blended perfectly, not too sweet and with a balanced freshness to pep the palate. Spirits are perfectly mixed cocktails made by a family owned company in Barcelona, Spain, with a history distilling spirits going back to 1835. They are perfect for someone who loves cocktails without the hassle of finding the shaker. In the box: 1x Vodka Pineapple, 1x Vodka Blueberry, 2x Vodka Lime & 2x Vodka Grapefruit. (Glass, olives, dish and ice not included). This half case features a great selection of French Cidre from Brittany. Loïc Raison Brittany Cidres are the best-selling cidres in France. 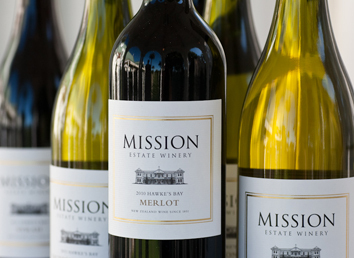 This great half case of wine includes 3 different wines from around the world. A refreshing French white, a delicious Spanish rosé and a fruity Italian red which are all easy drinking and are great for any occasion. If you are planning a party then this is definitely worth a try. This mixed case is a great introduction to Italian wine. Featuring six wines from the Puglia region; two full bodied Zinfandel-Negroamaro, two crisp and lovely Garganega/Pinot Grigio/Chardonnay and two elegant Zinfandel-Negroamaro Rosato. Case comprises: 2x Lupo Nero Bianco (75cl), 2x Lupo Nero Rosso (75cl) and 2x Lupo Nero Rosato (75cl). 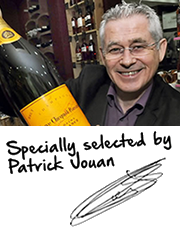 The 3 wines that make up this case offer great value. The half case includes a Sicilian wine made from Garganega/Pinot Grigio/Chardonnay grapes, a Chilean Sauvignon and a Spanish Viura. All three are fruity and refreshing with an easy drinking charm. A great selection of aromatic whites from Europe. Including the popular 'house' white Le Grand Duc, Reserve Vermentino Grenache, in which you can find fresh and zesty aromas of apple and lemon followed by stone fruits on the palate. In this case you will also find another French wine, Saint Marc Reserve Sauvignon which you'll love if your palate tends towards clean, crisp and fruity whites. Lastly the Italian dry white wine by Lenotti comes from the beautiful lime tree strewn hills around Lake Garda and brings with it a full-bodied, fruity aroma and complex structure. If you know someone who just loves Australian wine then this case will be the perfect gift. There's a full-bodied and bold Shiraz/Cabernet from Barren Jack, a crisp Semillon/Sauvignon from Barren Jack and the delicious Wombat Hill Merlot. In the box: 2x Barren Jack Shiraz/Cabernet, 2x Wombat Hill Reserve Merlot and 2x Barren Jack Semillon/Sauvignon. A delicious half case of wine that brings you the warmth of the South of France. There are three different grape varieties in this case and they are all made in an easy drinking style: a Sauvignon which is clean, crisp and fruity, a well-crafted, fresh Chardonnay with loads of ripe apple, pear and cream flavours, and a Merlot that is in a fruity style yet is charming and well balanced. Three Old World wines from France, Italy and Spain. Keep your wine rack stocked up with this selection of great value red wines that are great on their own or with food. 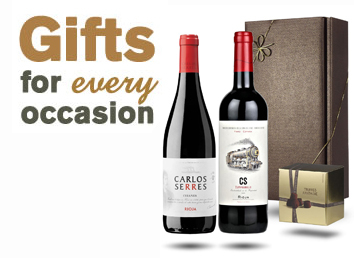 This gift box selection features three great red wines from Chile's Casanova Estate. The Carmenere is full of dark fruit flavours and has spent 10 months in oak just like the Merlot which shows a luscious complexity with a long delicious finish. The Cabernet has dark berry flavours that makes it great with food. A really lovely selection. Presented in a red gift box. In the box: 2x Carmenere, Antano Estate (75cl), 2x Merlot, Antano Estate (75cl) and 2x Cabernet Sauvignon, Antano Estate (75cl).